We annually research 336 global banking organizations operating in the AMERICAS, EMEA, and ASPAC geographies. 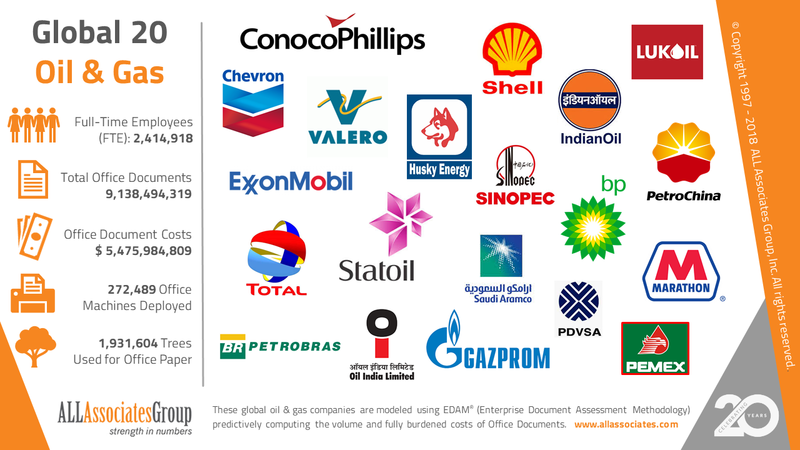 They employ some 10,834,824 full-time equivalent employees and collectively generate whopping annual revenues of $ 2.56 Trillion in 2017. To generate that kind of cash takes a lot of pieces of paper, over 95 billion we predict with a fully burdened cost of $ 55 billion. 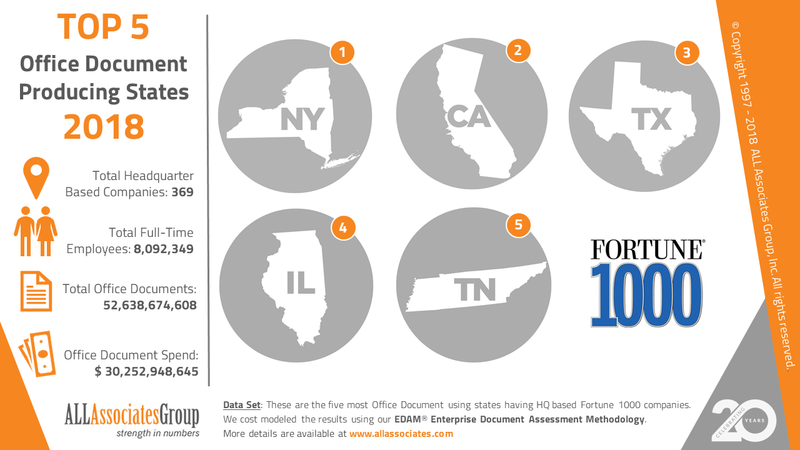 The 369 companies headquartered in these five US States represent 7.80% of the entire Fortune® 1000 list. 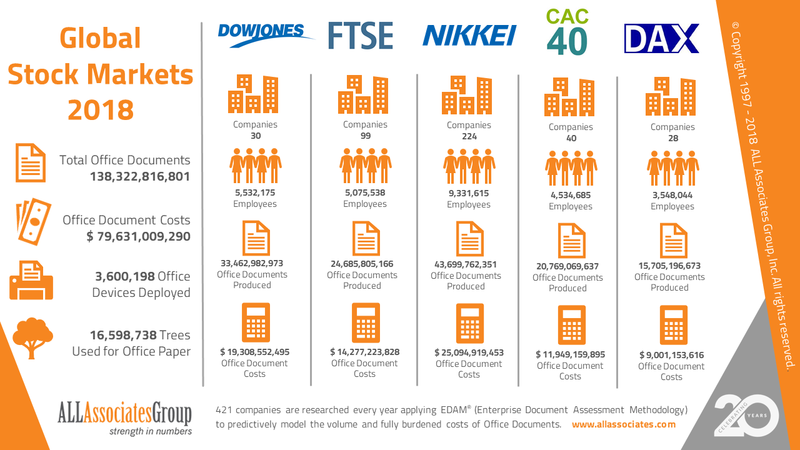 Surprisingly, they generate 42.37% of Total Revenues and employ 38.38% of the workforce on the list. 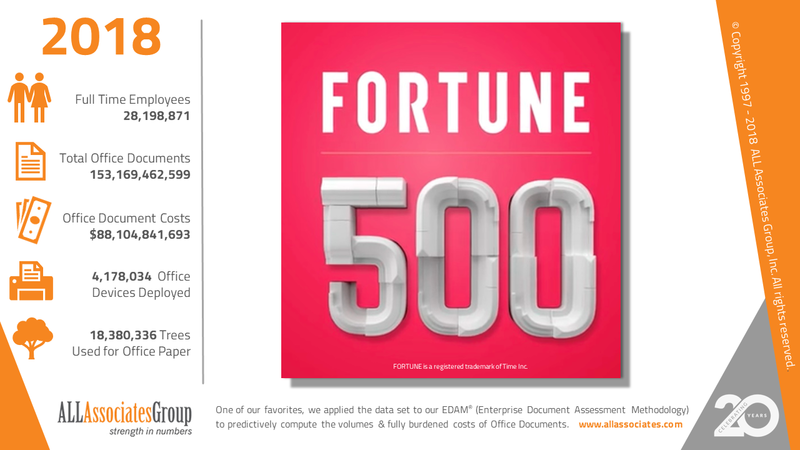 Most interestingly, we predict that these companies produce 52,638,674,608 office documents on some 3,596,808 office devices in 2018.